A little rough around the edges, Cedar is a mix of confident gentleman meets backyard bruiser, but he is mostly misunderstood. 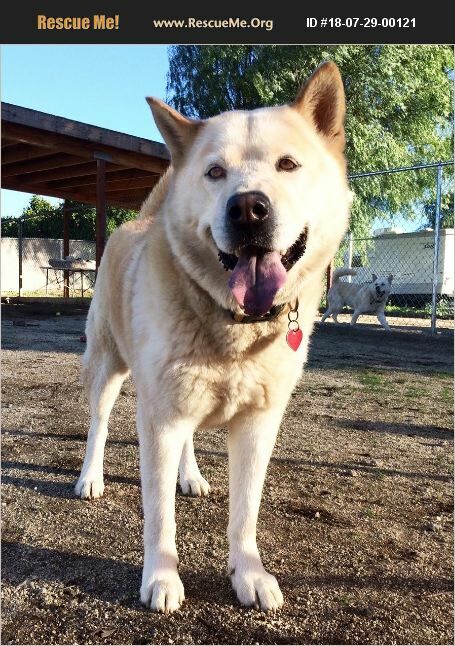 Cedar was in an abusive home before coming to the Akita Ranch which is why he can still have some trust issues in new situations. But deep down he is much more refined and likes to take care of his own. Working with him during his time at the ranch we have seen much growth from some of the issues he had when he arrived: he can be food aggressive but has learned to trust with his food if you give him space and a safe place to eat, he is selective with people he meets but is very willing to follow the lead of a person he trusts. He is very responsive to a respectful, loving person who is willing to train him with consistent positive reinforcement training and give him his space when he needs it. Once he feels safe, he will come to you on his own and loves scratches and affection. Due to humans who broke his trust many times, for a time, he will keep an eye on you until he sees that you are dependable and he then begins to let down his guard. Cedar is a noble, honest, character and one of the greatest personalities at the ranch. He really wants to make his people happy but needs time and patience to continue to overcome the pain from his past. He walks well on leash, loves going for car rides, is very well-mannered at the park and in new situations if his person understands his limits and respects his fears. If you have patience and a tender heart, and are willing to help him work through his past, Cedar would love to grow with you and see what this great big world has to offer! Come meet debonair Cedar at Akita Ranch 28930 Ellis Ave, Romoland, CA (open 10-5, 7 days) or email: apassionforpaws@gmail.com for adoption information.